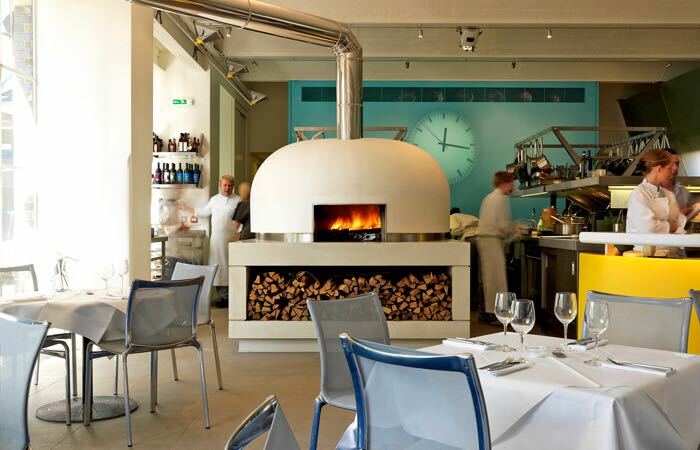 The restaurant is located on the north bank of the Thames in Hammersmith, in the former Duckhams oil storage facility. The facility was modified to alternative use by architect Lord Rogers, who is the husband of Ruth Rogers (Lady Rogers). 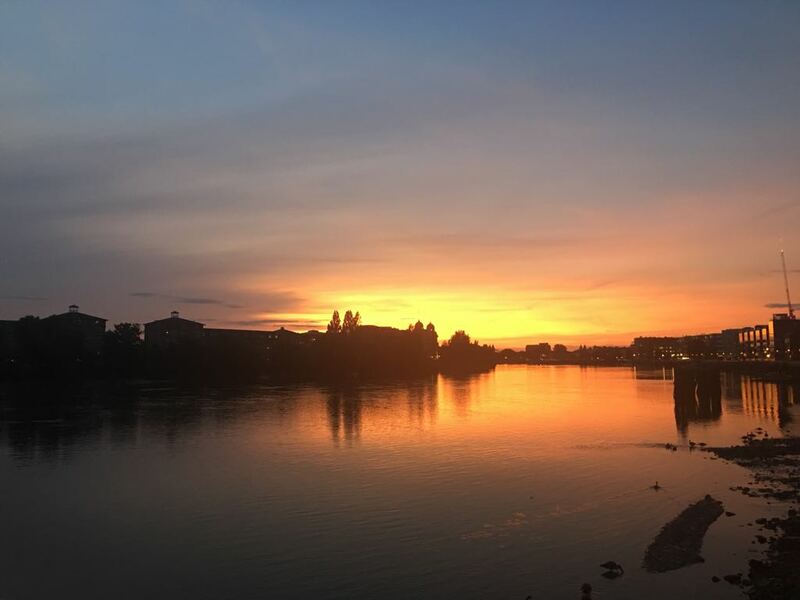 (The nearest railway station is Hammersmith tube station). The restaurant originally opened in 1987 as the employee cafe of the architectural partnership. 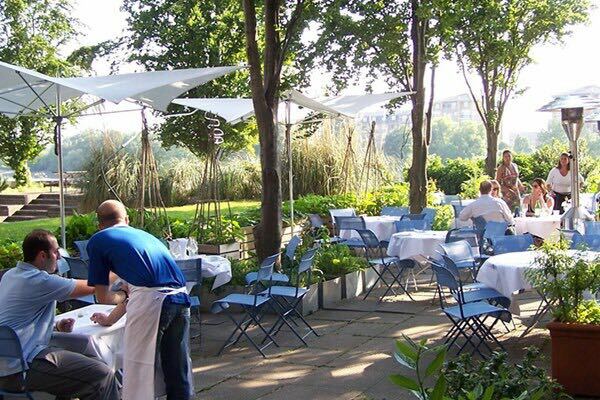 The restaurant has a garden area with views of the River Thames.